I have a client who is considering buying a competitor's Web site which competes directly against him. 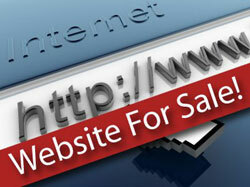 It's a strong site with an aged domain, a lot of incoming links and good traffic. How can he BEST use the site? Should we 301 redirect the site or use it for cross-link purposes? Does Google view this as link manipulation? Can we trigger a penalty? Answer: We've dealt with this situation countless times with clients and within our own businesses. All of these experiences have brought us to a single strategy we always stick to. The BEST way to buy a site is to pick the strategy that keeps the fact it's changed owners to the absolute minimum. Then you want to use that site to place one-way links from it to a target site. The other option, buying the site then 301 redirecting it page-by-page to specific individual pages (or just redirecting the site completely) is also effective, just not as much and for a shorter duration. Links do lose juice during a 301 redirect, and personally, we've found that a site with a TON of 301 redirects to another domain tends to be treated minimally by Google, at least over the long-term. "There are some domain transfers (e.g. genuine purchases of companies) where it can make perfect sense for links to transfer. But at the same time it wouldn't make sense to transfer the links from an expired or effectively expired domain, for example. Google (and probably all search engines) tries to handle links appropriately for domain transfers."